An interactive table of NAEP scores for the states and races, broken down by charter school and traditional public school. Some states have few or no charter schools. 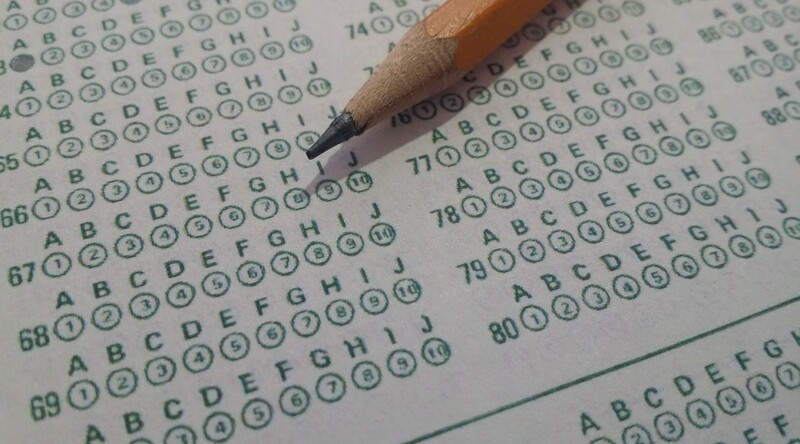 In many states, minority students perform better on the NAEP test when in charter schools. There are two visualization dashboards. Each starts by breaking down the data by state, race, and school type (charter school or not). One visualization shows the data at this level, while a second continues to break down the data by subject and grade. There are many missing values, usually meaning there is no data, or not enough data to be a reliable sample. You may access the visualization here. NAEP scores for national public schools. Click for larger. At the national public school level, when looking at all students, charter schools are outscored by traditional public schools (TPS). 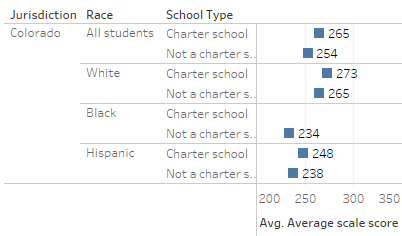 Looking at subgroups by race, we find that charter schools score higher than TPS. NAEP scores for Colorado. Click for larger. NAEP scores forIllinois. Click for larger. Illinois is an example of how it is important to look at subgroups of data instead of simply considering all students in a state. 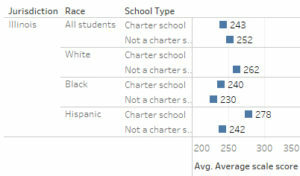 For Illinois, considering all students, traditional public schools score better than charter schools 252 to 243, which is a substantial margin. 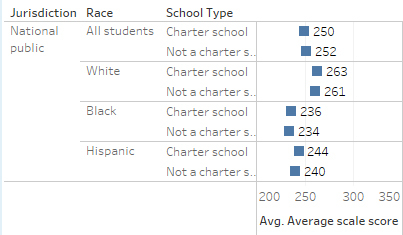 But considering only black students, charter schools do better than TPS, 240 to 230. For Hispanic students the gap is larger, with charter schools outperforming TPS, 278 to 242. A companion to this visualization is an interactive table showing charter school prevalence and enrollment in the states. Click here to use this visualization.